After winning multiple scholarships and awards, Paul Kimball graduated from Acadia University with an Honours degree in History and Political Science in 1989, and from Dalhousie University with a law degree in 1992. 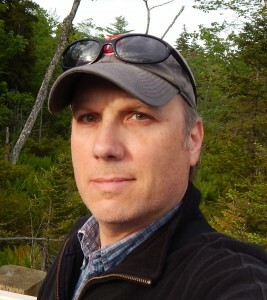 Paul is a former Program Administrator for Film and Creative Industries Nova Scotia, a consultant for Salter Street Films (where he was involved in the creation of the Independent Film Channel), and a film industry consultant for the governments of Prince Edward Island and Newfoundland. Paul has written, directed, and produced a wide variety of programming for television, including the television series The Classical Now and Ghost Cases, and the documentaries Best Evidence: Top 10 UFO Sightings, Stanton T. Friedman is Real, Do You Believe in Majic, Fields of Fear, The New Light Experience of Henry Alline, and Denise Djokic: Seven Days and Seven Nights. He adapted and produced the drama special Julius Caesar for Bravo in 2000, and produced the 2002 Canadian indie feature film Dying Fall. He has written and directed three feature films – the thriller The Cuckoo in the Clock, the science-fiction drama Roundabout, and the multiple award-winning drama Exit Thread – and served as Executive Producer of the feature films The Last Divide, Aliens With Knives, and Creepy Crawling, all released in 2018. Paul has also directed and produced a wide range of theatrical productions, including Marat / Sade, Macbeth, and his own sci-fi thriller, Doing Time, which he co-wrote with American author Mac Tonnies. His first book, The Other Side of Truth, a personal recollection of his years investigating the paranormal and the subcultures associated with the subject, was published in 2012. Paul is a past president of the Nova Scotia Film and Television Producers’ Association, a former member of the Province of Nova Scotia’s Film Advisory Committee, and was a founding member of the Motion Picture Industry Association of Nova Scotia. In 2017, he was the Progressive Conservative candidate in the riding of Clayton Park West in the Nova Scotia general election, finishing second. Paul is currently the writer, director, executive producer and co-host of the ongoing television series Haunted, the executive producer of the television series Slainte and NSK9, and the host, writer, director and producer of the upcoming documentary series Maritime Museums and CitizeNS. In 2019 he will be returning to the feature film directing chair with his next film, Rubicon. Paul on Twitter and at IMDB.